Christmas Break Events Metro Detroit 2018 – School’s Out Christmas Break camps and fun things to do over the holiday vacation for kids in Oakland County and the rest of Metro Detroit. When your school is out, the YMCA is in! Have your child enjoy a taste of Summer Day Camp by coming to the Y while their school is on break. For ages 4-13 Activities will include swimming, games, arts and crafts, sports, and much more. Call 248-370-9622 for cost info and to register. Free before and after care available. Activities and field trips each day of camp. Campers need to bring a lunch. Open to residents and non-residents. Campers should dress for the weather. Preregistration required. Video Game Coding Camp (12/27) or Robot Camp (12/26 or 12/28). Join for 1 day, or all 3! The day will be divided into age-appropriate sessions (typically 1-4, 5-9) to include building and gaming. Campers bring lunch, water bottle, 2 snacks. Parents can drop the kids off and run errands or go shopping. 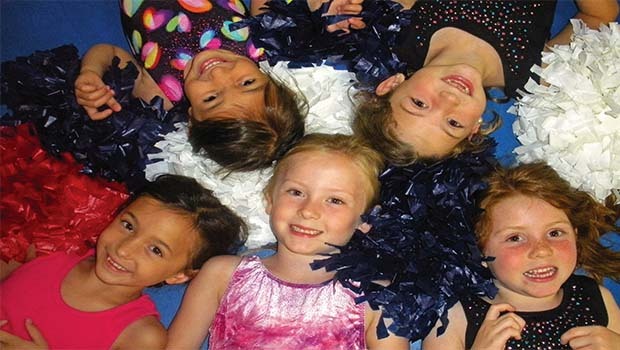 Drop off your children for gymnastics, games, and activities. Want to stick around? Bloomfield Gymnastics is Wi-Fi equipped. Shop online while your children play! Drop and shop camp is supervised by a qualified Bloomfield Gymnastics coach. Participants do not need to be members of the gym – bring friends, neighbors, and cousins. $30 per day. Must pre-register. Preregister here. The staff at Stars & Stripes CRAM Christmas break with all kinds of fun activities throughout the day. Register today. Holiday Day Break Ninja Camps. All ages open gym is also available each day from 1p-3p. Call today to register. Hosted by Novi Parks & Rec for kids ages 6-12. Travel daily to a different location for a fun field trip. Participants will take part in various camp activities (kickball, soccer, arts and crafts and relay races) before and after leaving for trips. Pre registration required. For more info, 248-347-0400. Sledding at the BEST sled hill Oakland County. They even have a warming shelter. Lost Lake features a smaller kiddie slope in addition to the HUGE main hill. Call the hotline to check on conditions. Sledding at Lost Lake is FREE. Just Having Fun in the Gym Camp. All ages open gym is also available each day from 1p-3p. Call today to register. Field trips will keep the kids busy all week! Field trips MAY include Avon North Hill Lanes, AirTime, Henry Ford Museum, & more! For kids ages 6-12. Latchkey is available. Camp is open to residents and non-residents. Video Game Design Camp (1/2) or Robot Camp (1/3). Join for 1 day, both! The day will be divided into age-appropriate sessions (typically 1-4, 5-9) to include building and gaming. Campers bring lunch, water bottle, 2 snacks. Enjoy sports, arts and crafts, swimming and more! Before and after available. Sign up for 1 day or the whole week! For ages 3-12. Pre-registration required. Call 248-733-5609 for cost info and to register. Holiday Super Jump for just $7.95 per child. Same price, extra hour of play time. Fun for the whole family. More info call 248-288-5888. Winter Break open skating! $10 admission. Bounce Zone included. Join FAC staff for an exciting day of games, swimming, tennis and so much fun. For ages 3-12. Extended care and lunch options available. Contact Laura Barrick at lbarrick@ffrc.net or call 248-352-8000, ext. 314 to register today. Franklin Tennis Camps provide young players the opportunity to improve their tennis skills in a fun and positive environment. Players will work hard, improve their game, make new friends, and have fun. Daily and weekly camps include tennis and swimming. Highly qualified tennis staff makes camp educational while having lots of fun. Pre & Post care available. Walk-Ins welcome. For ages 5-16. Contact Laura Barrick at lbarrick@ffrc.net or call 248-352-8000, ext. 314 to register today. All research and formatting for this Christmas Break Metro Detroit page provided by Oakland County Moms. Unauthorized duplication of this content without express consent is a violation of our Terms and Conditions and Data Security policies. Violators will be reported to Google Support for infringement violation. Christmas Break camps and more Christmas Break Metro Detroit Events 2018 are coming soon!